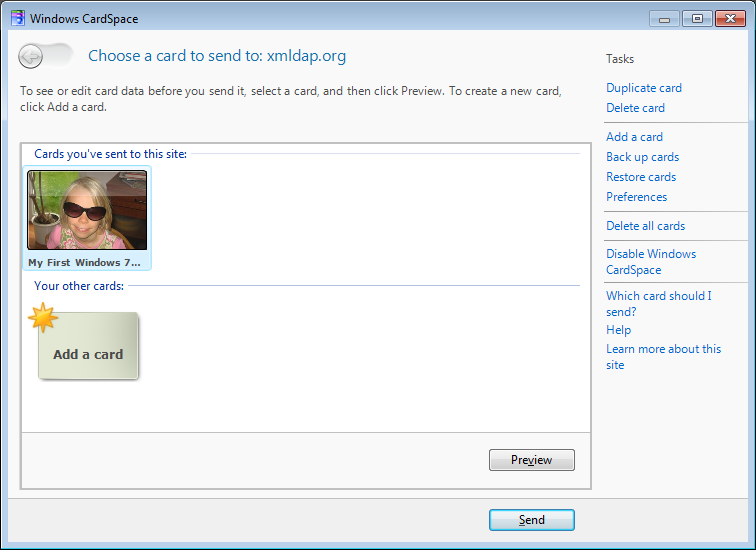 I am making good progress with the selector that supports Information Cards and OpenID (Cards). Maybe it will support username/password too. Please notice the purple-i in the urlbar left of the site identity icon. Clicking it starts the selector which lets you login using your e.g. 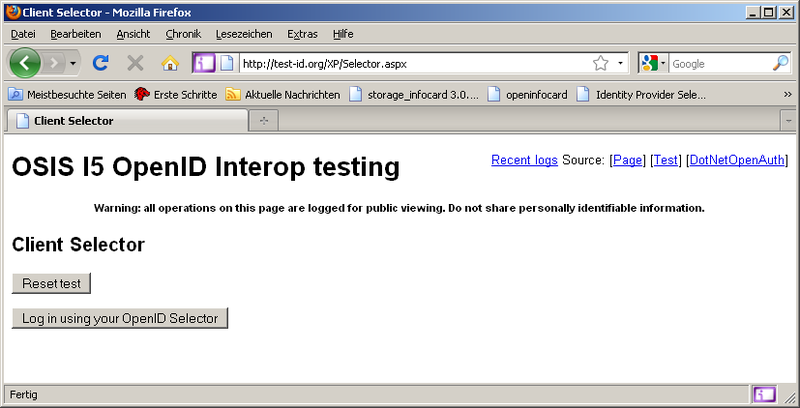 OpenID (Card). 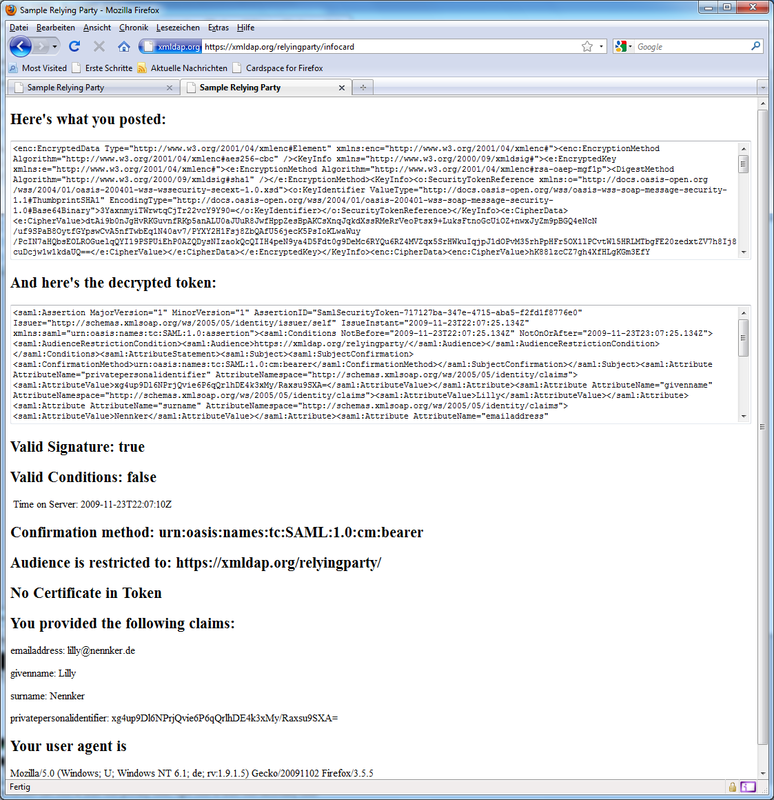 It "works" with the xmldap.org test page and it nearly works with Andrew Anortt's http://test-id.org/XP/Selector.aspx page. 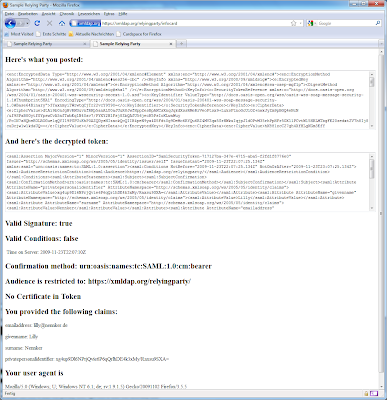 Markus Sabadello's testpage https://openidpad.com/ needs a little more work. The next step is to remember the cards used and display that/them in the urlbar. I would like to mention that "login" or "connect" (to a site) is not enough. I think that attributes or claims are more important than login. Well, this took quite some time. Several people reported that there were issues with the IdentitySelector from the Codeplex repository (sometimes called Cardspace for Firefox) on Windows Vista while Windows XP worked. But now, finally, I was able to build a new version on Windows 7 using the Mozilla build system as described here. 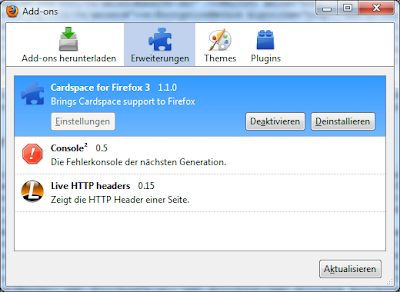 I tested it with Firefox 3.5.5 and it seems to do what is expected. Although I did not test it on Vista. 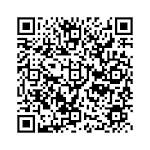 Please report issues by using the Codeplex issue tracker. The Cardspace version used was 3.0.0.0 as it come with Windows 7. There is still much work to do like bringing this addon's code to the same maturity of the openinfocard selector. And keeping it there e.g. by improving the XRDS support.